Impact Ready, Inc. offers the Windsert Door, an exclusive industry first product distributed by DLP Industries. It’s an impact door with an operating impact window that includes a hurricane screen so durable that you still maintain hurricane storm protection and security even with an open window. Now that’s tough. There is a lifetime warranty. The door will NOT rust and it will NOT rot. 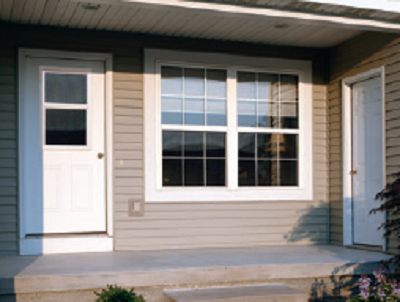 These are top quality impact rated windows, doors, and screen products. Our company serves you with expert level installations and only using products which meet our strict pre-qualification process, so we are confident and eager about what we do. You can maintain impact rating and full security even if your window is open! Great for condos and homes – anywhere you want to add cross flow ventilation. Here at Impact Ready Glass, we offer a full line of hurricane impact windows and doors with the best quality installations and warranties to help protect SWFL. Come see our quality glass products for impact windows and doors at our Naples and Bonita Springs locations! We can answer any of your questions and even come to you with a quick, easy, and Free In-Home Consultation! Contact us today. See more information about Windsert here.